Washington Redskins executive and Super Bowl MVP Doug Williams, who became the first African-American starting quarterback to win a Super Bowl when he led the Redskins to victory in Super Bowl XXII, will receive the Founder’s Award for his contributions to the game of football at the DC Touchdown Club 3M Awards Dinner on Thursday, April 12 in Bethesda. Williams has enjoyed success at every stage of his football career. 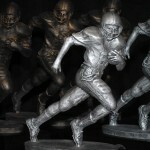 As a college player at Grambling State, Williams guided the Tigers to a 36-7 mark as a starter and twice was named the Black College Player of the Year. Williams then went on to play nine seasons in the NFL and is best known for his performance in the Super Bowl, when he passed for 340 yards, threw four touchdown passes in the second quarter and was named the game’s Most Valuable Player in a 42-10 rout of the Denver Broncos. Williams eventually moved into coaching, where he guided Grambling to three consecutive Southwestern Athletic Conference titles. He then moved into administration, was hired by the Redskins in 2014 and in 2017 was named the team’s Senior Vice President of Player Personnel. A graduate of George Washington University, Mike Patrick worked at WJLA-TV in Washington for eight years before joining ESPN in 1982. 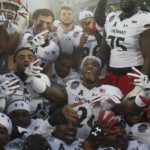 He worked at the network for 35 years, including 19 seasons as the voice of NFL Sunday Night Football, more than 30 ACC men’s basketball championships and 14 NCAA Women’s Final Fours. He will be presented with the Touchdown Club’s Lifetime Achievement Award. Charles “Lefty” Driesell became one of the nation’s most successful basketball coaches, having made his mark on the hardwood as he turned the University of Maryland into a national power. Driesell will be inducted into the Touchdown Club’s Circle of Legends, a group of the region’s best coaches. Best known for his creative marketing and promotions, Driesell is credited as the founder of Midnight Madness to start preseason practice. He coached at Davidson, Maryland, James Madison and Georgia State, becoming the first coach ever to win more than 100 games at four different schools and earning conference Coach of the Year honors at each stop. He had an overall record of 786-394 with 21 conference regular season or tournament titles and 21 seasons with at least 20 wins. Driesell is a member of the National Collegiate Basketball Hall of Fame and a finalist for the Naismith Memorial Hall of Fame, which will announce this year’s inductees on March 31. Williams, Driesell and Patrick will be joined by Washington Metro College Player of the Year DJ Moore of Maryland, High School Players of the Year Kevin Doyle, AJ Lytton and Ricky Slade and Washington Metro High School Coach of the Year Kyle Simmons of Westfield. 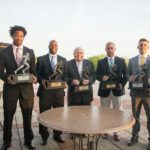 Tables and a limited number of individual tickets can be purchased at dctouchdownclub.com/awards-dinner. 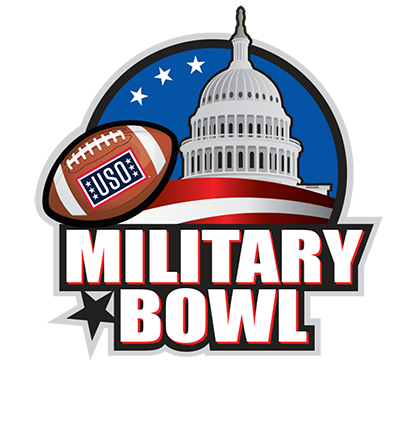 Sponsorship opportunities are also available by contacting Steve Beck at 301-370-5454 or sbeck@militarybowl.org. Proceeds benefit Patriot Point, the DC Bowl Committee’s retreat for recovering service members.